I went out to paint today, and after wandering around for awhile, and hunting morel mushrooms with my brother, I set up where the woods has been recently logged. The breeze was fragrant with the scents of wildflowers, all the spicy woodsy smells of spring, and cut wood. 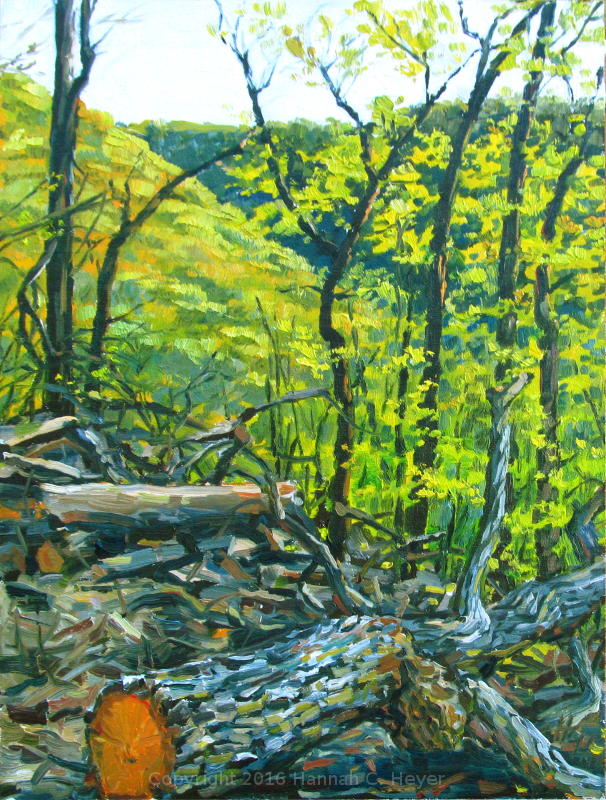 Spring Greens and Sawdust, 12 x 9 inch plein air oil on linen/hardboard.